Roden Company, being the largest Ukrainian manufacturer of waterjet equipment, has a complex approach to each customer. 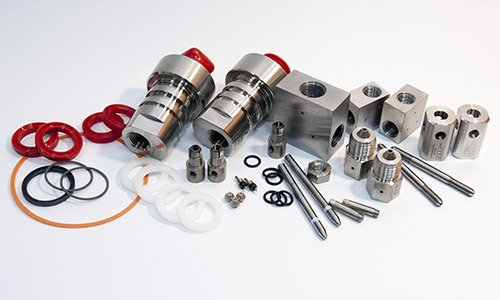 Therefore, the stock house constantly has the available accessories and wearing parts, pneumatic components, pneumatic and hydraulic equipment, the accessories for waterjet cutting as of our own production as of the leading European producers. Our specialists can give expert advice to your questions. It’s also possible to order non-standard imported parts. There is also constantly the garnet sand at the stock house which is used as the abrasive while waterjet cutting.